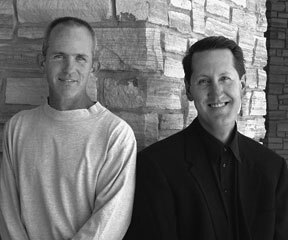 Long time collaborators, Camaldolese Monk Cyprian Consiglio (voice & guitar) and John Pennington (percussion) have drawn from a variety of holy texts, from a variety of traditions, saints grounded in the every day, and secular poets grounded in mysticism. Having performed together in three continents, they have brought their unique compositions and performances to audiences throughout the globe. Equilibrium and Oregon Catholic Press publish and distribute their music. When words fail, we fall into the place where everything becomes music. Trumpet performer, Stephen Dunn, Northern Arizona University, and John Pennington, Augustana University, have been performing together for over ten years. The title of their first CD, Old News refers to one of the compositions on the recording and the historical linkage of trumpet and percussion that has existed since the crusades of the dark and Middle Ages. For approximately a thousand years trumpet and percussion have co-existed and been intrinsically linked together though military, noble, aristocratic, orchestral, and chamber music manifestations. Their concerts include commissioned works, original composition and arrangements of of Piazzola, Bach, Vivaldi and Ravel. Recent performances include a college tour of Kansas (2007) and a performance (2007) at the International Trumpet Guild Conference in Amherst, Massachusetts. Fr. 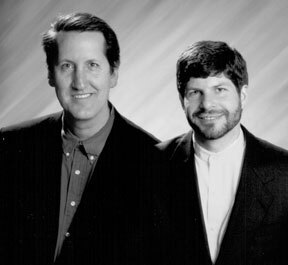 Matthew Pennington, author & voice and John Pennington, Percussion are the Brothers Pennington. When you listen to stories from the sacred scripture, you are changed. The recording, Transformations, weaves music and storytelling together to vividly define a moment when places, people, and history are irrevocably altered. As you listen to the collection of stories, meditations, and prayers, you will hear familiar passages in a new way that will inspire and transform you. 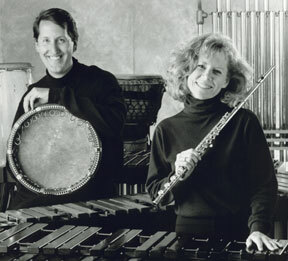 Former Colorado colleagues Rochelle Mann, flute, (Emeritus, Fort Lewis College) and John Pennington have performed together for over sixteen years including performances at the International Flute Convention, College Music Society and the National Association of College Wind and Percussion Instructors. 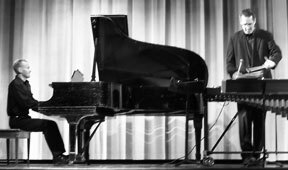 Portland, Oregon pianist Rick Modlin and John Pennington, vibraphone have developed a new duo of music bridging the divide of classical and jazz with music of DeFalla, Corea, Sejourne and Ravel. The American Gamelan is the collection of instruments designed by American composer Lou Harrison (1917-2003) and instrument designer, Bill Colvig (1917-2000). In 1992, Harrison commissioned instrument designer, Richard Cooke, to recreate the American Gamelan. 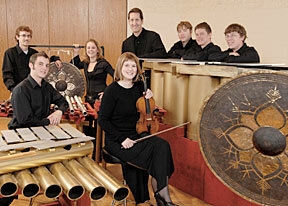 A corollary event is the CD recording of the American Gamelan in the Concert Hall at Fort Lewis College (April, 2007) and the CD release and pre-PASIC concert on October 14, 2007 in the Concert Hall. The recording is available at Steve Weiss Music. 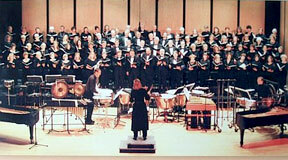 Voices of Time is a metaphor representing several aspects of a commissioning project committed to creating new music for SATB choir and soloistic percussion. Desert Songs I, II and III.